Porsche is bringing back the 911 Speedster some 16 years and three model generations after it last was featured in the German sports car maker's lineup. The car, pictured here ahead of a planned unveiling alongside the 911 Carrera GTS at the Paris auto show, is just the third 911 Speedster to be put into series production and follows tradition by being based on the existing cabriolet version of Porsche's iconic rear-engine sports car. Paying homage to the car that kicked off Porsche's fascination with the chopped-top look, the original 356 Speedster launched in 1953 at the behest of its U.S. importer. The new 911 Speedster uses standard bodywork but receives a shorter and more heavily raked windscreen than other 911 models. A plastic tonneau cover behind the cabin also receives a double-bubble treatment reminiscent of that gracing the first 911 Speedster, the 964 model introduced in 1988. The overall appearance is further enhanced by the adoption of the widened rear bodywork of the latest 911 Carrera 4S cabriolet, with its 1.7-inch wider wheel housings. A flat, manually operated fabric hood is designed to provide occasional protection from the elements, although as on earlier examples of the 911 Speedster, it is unlikely to be as sturdy as the standard 911 Cabriolet's automatic roof. The car was created to celebrate the 25th anniversary of Porsche Exclusive, the company's in-house individualization program. Porsche's latest 911 also receives a series of visual upgrades, including an additional chin spoiler at the base of the front bumper, tinted indicator lamps, blackened headlamps surrounds and windscreen frame, unique side sills and a rear bumper boasting 911 GT3-style air ducts behind the rear wheel arches. Inside, there is a combination of black leather and color-keyed elements from the Porsche Exclusive catalogue. 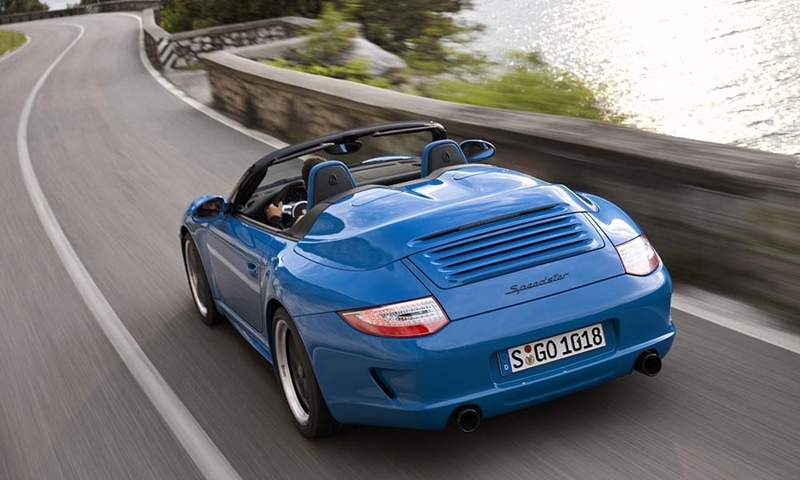 Power for the rear-wheel-drive 911 Speedster comes from the same 3.8-liter version of Porsche's classic horizontally opposed six-cylinder engine as that unveiled in the 911 Carrera GTS. 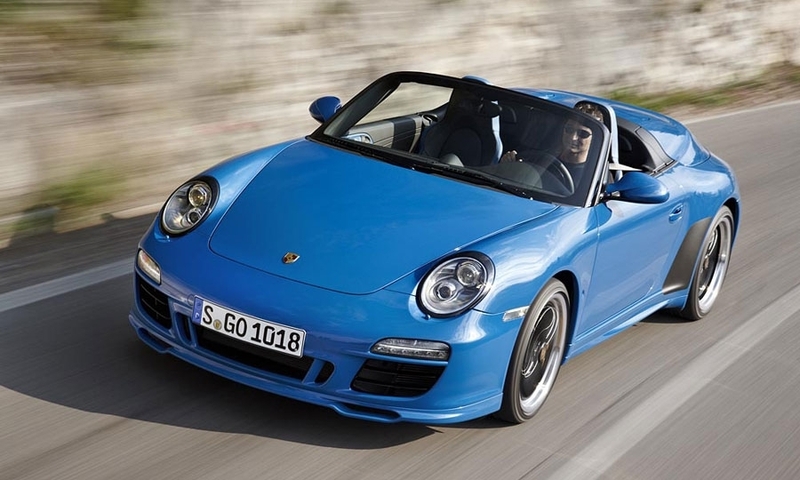 With 402 hp, it packs 22 hp more than the standard 3.8-liter flat-six used in the 911 Carrera S cabriolet. 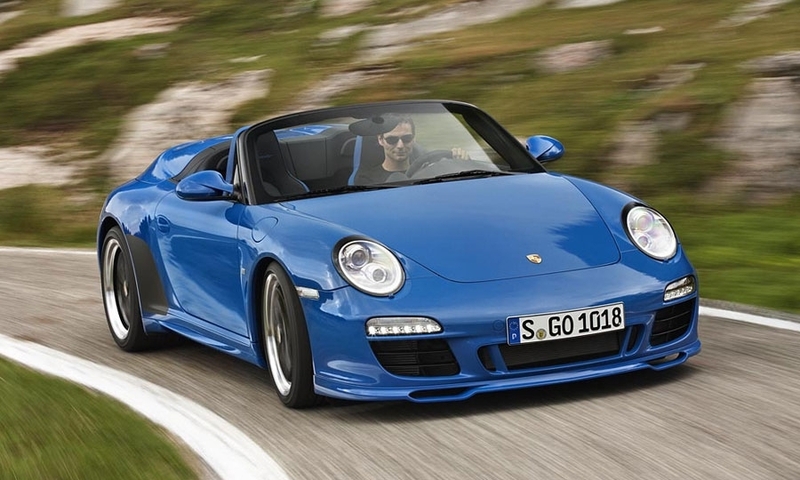 Standard equipment includes Porsche's seven-speed PDK dual-clutch gearbox, a locking differential, adaptive damping and carbon-ceramic brakes. 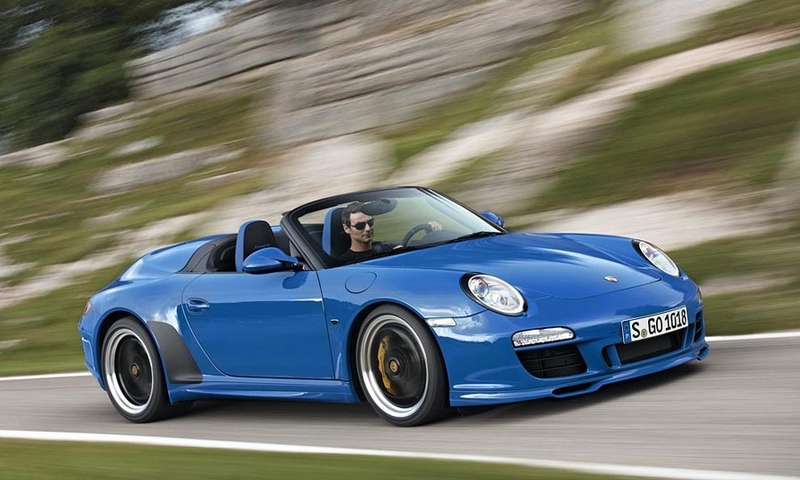 In a move that will ensure its exclusivity, Porsche says it plans to produce just 356 examples of the new 911 Speedster.